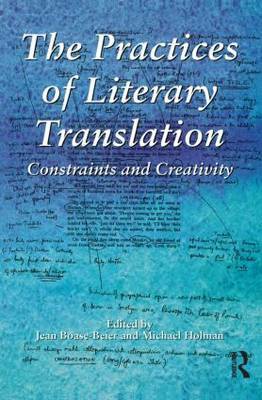 In their introduction to this collection of essays, the editors argue that constraints can be seen as a source of literary creativity, and given that translation is even more constrained than 'original' literary production, it thus has the potential to be even more creative too. The ten essays that follow outline ways in which translators and translations are constrained by poetic form, personal histories, state control, public morality, and the non-availability of comparable target language subcodes, and how translator creativity may-or may not-overcome these constraints. Topics covered are: Baudelaire's translation practices; bowdlerism in translations of Voltaire, Boccaccio and Shakespeare, among others; Leyris's translations of Gerard Manley Hopkins; ideology in English-Arabic translation; the translation of censored Greek poet Rhea Galanaki; theatre translation; Nabokov and translation; gay translation; Moratin's translation of Hamlet; and state control of translation production in Nazi Germany. The essays are mostly highly readable, and often entertaining.